This post was first published on Corwin Connect. 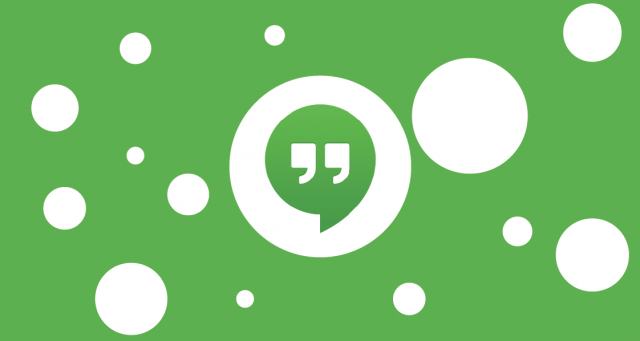 Have you ever used Google Hangouts? If not, you are missing out on a free and powerful collaboration tool. Get started with the basics at this helpful link. 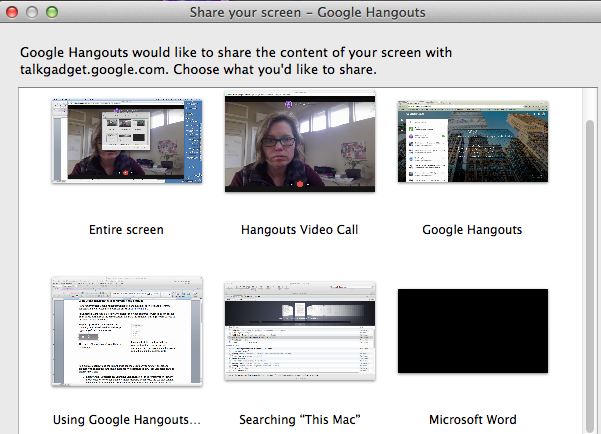 In a nutshell, Google Hangouts are a free way to engage in a video conference with up to ten people. You can see each face in the conversation, and have the option of sharing screens (see tip below) to look at the same visuals together. Whether you are a teacher, administrator or external partner supporting schools, you can use Hangouts to collaborate beyond school walls. Lead Virtual Professional Learning Communities. In our Observation Inquiry Leadership Network, teacher leaders and administrators from across the United States and Canada meet monthly via Hangouts to collaborate and support one another with a shared goal: leading peer observation inquiry to deepen job-embedded professional learning at scale. In each one-hour hangout, we share successes and challenges, then dive into a deep discussion on a team-selected question or problem. Coach Teacher Leaders as Facilitators. Leading deep, job-embedded professional learning is a new experience for many teacher leaders, and requires nimble facilitation skills. I use Hangouts to lead collaborative learning among facilitators, provide one-on-one coaching, and virtually visit meetings the facilitator leads to provide feedback and support. Support Teacher Teams. To follow up on my interactive workshops on High-Impact Literacy and ELD, I meet virtually with teacher teams during their job-embedded planning time to help them apply learning to lesson planning. Using Hangouts in tandem with a shared Google document, we discuss and plan together in real time even though we are hundreds of miles away. Collaborate with Multiple Stakeholders to Plan Professional Learning. Aligning professional learning to district priorities, contexts and climates matters. I customize my consulting support to make sure every second of my time with teachers is relevant to the unique context of each client district and school. The phone is still a great technology for this process, but Hangouts are more personal and allow us to bring up to ten stakeholders from different locations into the conversation. Collaborate with Job-Alike Colleagues. In addition to using Hangouts to enhance the services I provide to schools, I use Hangouts for my own professional learning. I meet regularly with other leaders, authors, and consultants to share ideas, collaborate to solve challenges, and innovate new possibilities for students and schools. Virtual meetings via Google Hangouts may feel a little awkward at first, but with practice you’ll realize the tremendous advantage of being able to connect and collaborate internationally without travel costs, from the comfort of your home, classroom or office. 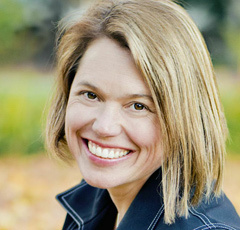 How do you use video conferencing to work in education? Which platform (Hangouts, Skype, Facetime, etc.) do you prefer? Why? 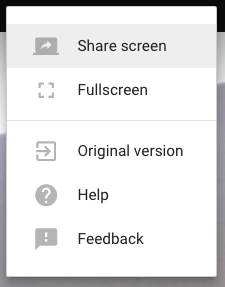 To share your screen in a hangout, first select the three dots in the top right side of the hangout screen. Then, select “Share screen” from the dropdown menu. Finally, select the open window on your screen you want to share.